At UCA, Gmail should be the default email client for the internet browser you use. If Gmail is set as the default email client, when you click a link that takes you a new email message (called a mailto: link), it will open Gmail instead of another email application. Choose a section below for instructions specific to your browser. In the dialog box, find the Handlers section and select Allow sites to ask to become default handlers for protocols. Open Gmail in your Chrome browser. In your browser’s address bar, click Default handler ( ). Select Allow and click Done. In the search bar, enter mailto. 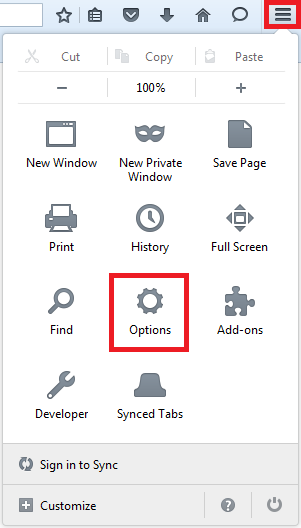 In the Action drop-down menu, choose Use Gmail. Go to Google Toolbar installation page and click Accept and Download. Make sure the Google Toolbar is enabled. To do this, click View in the top-left menu, hover over Toolbars, and then click Google Toolbar (if there is no checkmark next to it). When prompted, click Enable. If the toolbar asks you to agree to the Google Terms of Service, click I agree. 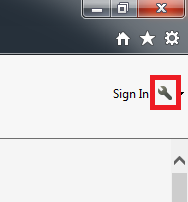 Once you’ve installed and enabled the toolbar, click the wrench icon wrench at the top right corner of your Internet Explorer browser to open the Toolbar Options window. 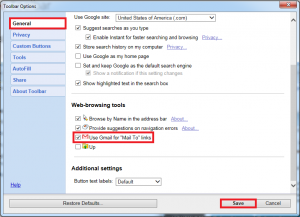 On the General tab, under Web-browsing tools section, select the check box Use Gmail for ‘Mail To’ links. Click Save. Install the Gmail This extension for Safari. Find it in the list and click Install now.